If you are looking for a high-end flagship smartphone then stop reading now… But, if you are after a budget phone that can handle most tasks then read on. 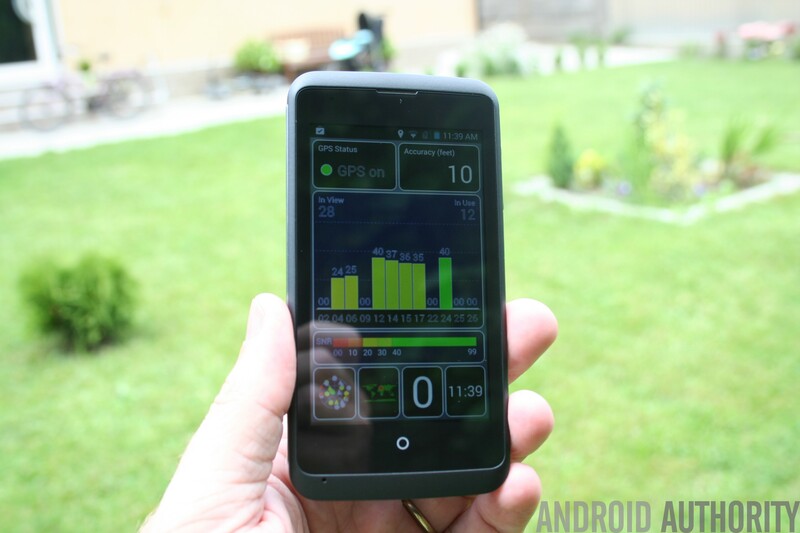 The ZTE Open C is ZTE’s second smartphone designed specifically for Firefox OS. But the good news is that the device can also run Android, specifically Android 4.4 KitKat. The magic of this device is its price. You can get one for just $92. For that price you can’t expect much, but the question is, do you get a functional Android smartphone? I spent a few days testing the ZTE Open C and this is what I discovered. ZTE’s first Firefox OS phone had a 3.5 inch 320×480 display, a single core processor and just 256MB of RAM with 512MB of internal storage. All a bit limited. However the Open C is a different beast. This display gets a bump in size to 4 inch, as does the resolution, which is now 480 x 800. The processor is better, a dual-core Snapdragon 200; there is more RAM, now 512MB; and the internal storage has increased eight fold to 4GB. OK, these specs aren’t going to dazzle anyone, but they are close to other low-end devices from big-brands including the Nokia X and the Lumia 520. The Open C’s design is simple, almost retro. It reminds me of the iPhone 3GS, but slightly less bulbous. The phone is completely black save for two small silver colored bars that run down 90% of the sides. On the front is the 480 x 800 display and a single home key (which is represented by a small circular symbol). There are no back or menus buttons,as I guess they aren’t part of the Firefox OS design. However those keys on the device are still functional, even if they aren’t marked on the device. The menu key is on the right and the back key is on the left. It can be a bit hit-and-miss trying to tap the keys as they aren’t marked, but you get used to it! The volume keys are on the right-hand side and unusually the power button is on the top, where you will also find the 3.5 mm jack. The micro USB port is on the bottom. The Qualcomm Snapdragon 200 is based around ARM’s standard Cortex-A7 core design and Qualcomm have added an Adreno GPU. It is clocked at 1.2 GHz. According to the specs, the Open C should include a MSM8210 with an Adreno 302. But according to AnTuTu and CPU-Z the device I tested had a MSM8610 and an Adreno 305. I think the two processors are very close in terms of their specifications and are likely interchangeable. Whichever it is, for the price, this is a reasonable processor package, but don’t be under any illusions that it will be fast. The ZTE Open C scores 12,150 on AnTuTu. In Epic Citadel the device managed a frame rate of 31 fps at 800 x 480 in ultra high quality mode. These might seem like low scores, but actually these are the kind of numbers that high-end phones scored a few years back, and at the time they cost hundreds of dollars! The GPS performance on the device was phenomenal. It managed to get a lock while I was indoors, and outdoors it saw at least 20 satellites and was able to get a fix in under 2 seconds. The ZTE Open C has a 1400mAh battery, which would be small in a quad-core or octa-core device, but with the Qualcomm Snapdragon 200 and the 4 inch display it is more than ample. The battery life while 3D gaming is quite impressive (for the battery size). You can play 3D games for over 4.5 hours on one charge. This is much better than lots of quad-core and octa-core phones I have tested. My testing shows that you can play MP4 video files from local storage for nearly five hours, before the battery needs recharging. YouTube streaming will work for around four hours, then you will need to find a mains socket. Since this phone isn’t designed for power users I would estimate that the battery would easily last all day (from morning to evening). There isn’t much to say about the camera. It has a fixed focus and a very low megapixel count. This is clearly the component that ZTE decided to sacrifice on the alter of cost-control. The camera app itself is very basic and only provides minimal controls. That doesn’t mean it won’t actually take pictures, it does, but you need to use it carefully to get anything near usable results. The connectivity options are what you would expect from a low-end budget 3G phone. There is Wi-Fi ( 802.11 b/g/n), Bluetooth, 2G GSM on 900/1800/1900MHz, and 3G. The device is single SIM and supports 3G on 900 and 2100MHz. This means that the 3G won’t work in the USA, however standard GSM calls should work on some networks. It is worth noting that this is a tri-band GSM phone and it doesn’t support GSM on 850MHz. 2100 Mhz is the most common 3G frequency and should work in most places around the world, however a lot of carriers also use a secondary 3G frequency range. In Asia and South America this is often 850MHz, but in Europe it tends to be 900MHz. This means that this device offers European users better connectivity than many other Chinese devices which often support 850/2100 rather than 900/2100. You need to check with your carrier to ensure compatibility or if you trust Wikipedia then this UMTS networks page could have the information you need. The phone runs a fairly vanilla version of Android 4.4.2 KitKat. However there is one interesting item in the settings, a power saving control. Here you can define a power saving profile which will kick-in when the battery reaches a certain level. The power saving profile defines what should remain off and what should remain on, thus allowing the battery to be conserved. There is no shortage of budget devices out there, especially from Chinese OEMs. However ZTE is more than just a Chinese OEM, it is a global telecommunications brand. Its support for Firefox OS is admirable but the fact that you can run Android on this device is cool. The camera is poor, there is no doubt about it, but besides that the device is quite admirable considering its price point. There is lots of competition at the low-end but this is the cheapest device I have seen from a global player. You can pick up a ZTE Open C Firefox OS smartphone with Android 4.4 KitKat pre-installed from Chinavasion.